Fibromyalgia is an invisible chronic illness. An invisible illness is a condition that doesn’t have noticeable symptoms and a chronic illness is a condition that is long lasting (usually over 3 months). Fibromyalgia is a condition that causes widespread pain all over the body. As well as this pain, the other most common symptoms people may experience are: increased sensitivity to pain, extreme tiredness, muscle stiffness, difficulty sleeping, problems with mental processes for example problems with memory and concentration, headaches and irritable bowel syndrome. In fact, there have been 150+ possible symptoms reported related to every part of the body and its systems. The exact cause of Fibromyalgia is unknown, however with medical science forever expanding hopefully an answer may be found. There are a few ideas that have yet to be confirmed based on physical and environmental factors; abnormal levels of certain chemicals in the brain and/or changes in the way the central nervous system processes pain messages around the body, possible genetic links, and in many cases, the condition has been thought to be triggered by physical or emotional factors for example injury or infection or having an operation. However, there is no evidence to suggest any of these links are in fact true, which for someone who suffers with this condition, is not widely helpful at all. Women are more likely to be affected than men, however it is not known why. Men are more likely to not seek medical help or speak about their problems, tending to bottle everything up, which may be why more women are reported to diagnosed with it. It can affect all ages although it is more likely in those from there 20s and up and its estimated as many as 1 in 20 suffer from it! So while nowhere near being classed as rare, many people have not heard of it. I have not met anyone else with the condition and my family had not heard it before I was diagnosed. There is no test to confirm the condition and the symptoms are very similar to other conditions, which makes diagnosing it very difficult. Due to this it is a case of elimination; tests like X-Rays and blood tests looking for other conditions that create similar symptoms like Arthritis are done first. This can take its time which is why being diagnosed ‘officially’ can take a long time. It took 9 months for me, back and forth to hospitals and GP’s, to actually get my diagnosis. 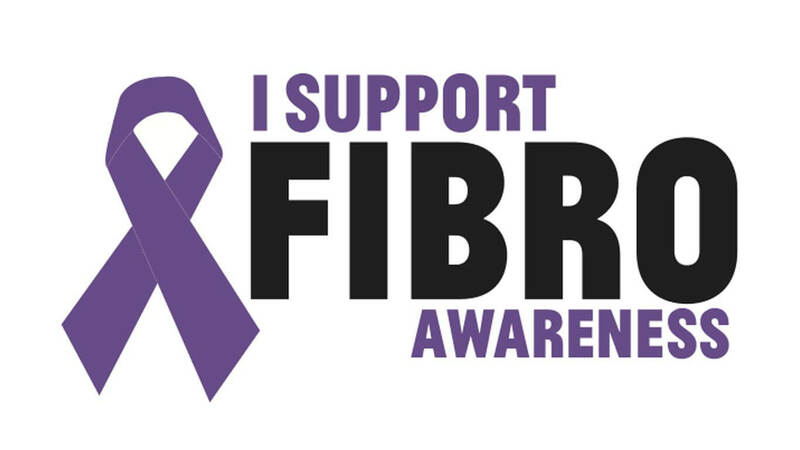 It is not a fatal condition and it is not supposed to get worse as you get older, however, many people that have had Fibromyalgia for years may not agree with this. There is no cure but treatment is available and these should be able to help the symptoms, however, it’s a personal choice and it’s a personal treatment and its something your doctor and you can discuss. Treatment can include medications- options include antidepressants, sleeping pills and painkillers. There are so many variations out there that it may take a while to find what works for you, please don’t be disheartened straight away. Talking therapies and lifestyle changes such as changing jobs can also help. Just because there is treatment doesn’t guarantee it will help. Some people go into treatment thinking this will either ‘cure’ them (which has not been found to be possible) or greatly help them which is not definite outcome. I think of the word management instead of treatment. You learn to manage the condition not treat it. Life with fibromyalgia is not easy. From a personal point of view, it is very easy for an illness like this to take over and control your life. Living a ‘normal’ life is hard when every day is different. Some days you might not be able to walk, some days you could be able to run! Despite the struggles of an illness that can make life feel miserable, those that suffer from chronic illnesses are a very strong resilient group of people that keep on fighting. I think each and every one of us should be proud of the people we are and of the fights we win every day. Bethany is a 23 year old living in London. She lives with multiple chronic illnesses while also being a student and blogger. Next articleStudy TipsHOW CAN YOU REVISE?